Cut chicken into cubes and marinate it with pepper powder, ginger-garlic paste, garam masala, coriander leaves, grated cheese and salt and keep it in the refrigerator for 30 minutes. In a bowl, add egg, plain flour and salt and prepare a batter adding little water. 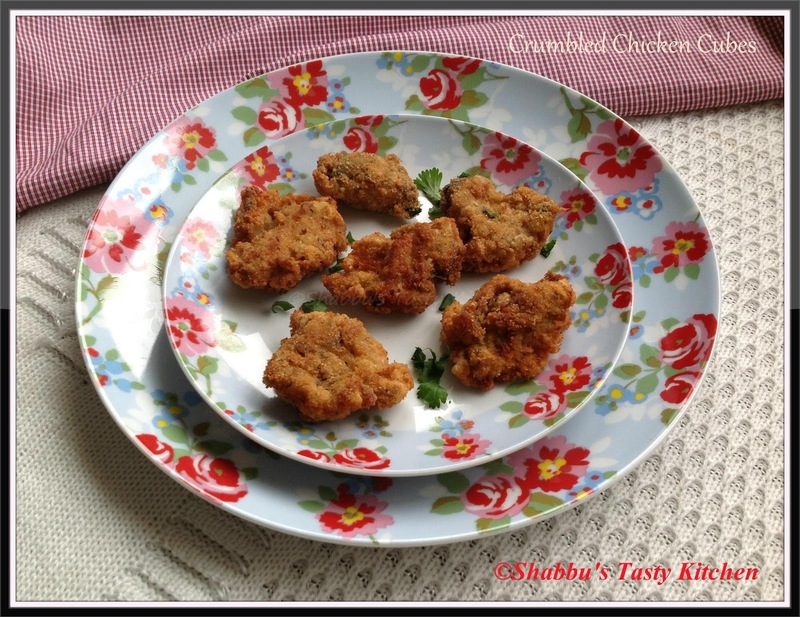 Dip each chicken cubes in the batter and coat with the bread crumbs. Heat oil in a pan and fry it on medium flame till golden brown and chicken gets cooked...Serve hot with sauce..
Wow...would love to have this as a snack right now!